The other day I received in my inbox one of the most eagerly unanticipated of emails – the dreaded rejection. It wasn’t my first, and it most certainly will not be my last. In fact, it was another in a long, and happily broken line of such letters, which at this point in my career, totals well over one hundred. Through the years I’ve received all kinds, reaching back to the pre-electronic era: my own typed query with a rubber-stamped REJECTED across it, thrifty pre-printed postcards tucked into my SASE, crookedly off-centered-Xeroxed form letters, flyers inviting me to partake in the purchase of 1) editorial services, 2) how-to books, 3) seminars, even one with a large NO scribbled across the body of the letter. Of the electronic variety, I’ve received mainly cut-and-paste form emails, some three months after I submitted, to one within the hour. Several of these, especially of late, have been what is popularly known as good rejections, dismissals of a more personal nature, where the sender comments on what they liked and disliked about the work, more often than not praising the writing, but not “falling in love” with the story. Often the sender will point out the subjective nature intrinsic to all rejections, and wish you “the best of luck in finding a home/editor/agent for your novel/project/work.” Although rejections of this ilk are often sent with the kindest of cuts, because of the higher level of expertise the writer has demonstrated by the point, they’re usually the toughest rejections of all to take. I’ve seen many a writer crumple in despair over such rejections, burn their manuscripts, erase their hard drives, lose themselves in a blurry of cheap liquor and even cheaper chocolate (yours truly suggests burrowing into a Himalaya-size pile of Tater Tots). Many vow to give up writing for good, and sometimes many do, at least temporarily, and often that’s a good thing. Because once the hurt and the anger and the self-deprecation subside, the writer can take a step back and look at the work objectively. Subjectivity aside, editors and agents, more than anything else, are professional readers, and if the work comes back over and over with similar commentary, maybe it’s time to take a look at that particular aspect of the story. In the same vein, the writer also has to consider where the work was sent and the editors’/agents’ preferred genres. Are you submitting mystery when the agent’s preference is sci-fi? Have you sent a novel query to an editor who usually publishes self-help? Have you taken a look at the agent’s clients? The editor’s list? Have you read the acknowledgement pages of works similar to yours to see who the author is thanking? You have? Then good, but let me ask you this: do you have multiple queries out there, or are you placing all of your literary eggs into the basket of one editor/agent? If you are, you are most certainly setting yourself up for disappointment. Submission should be a very fluid process, and sending to one editor/agent at a time is akin to hitting a stop sign on every corner, causing your writing to lose momentum. For the most part, your writing life should have two very distinct entities – the creative and the practical, and as hard as it is to separate one from the other, the two should never align. Plus if you have multiple queries out there at once, the random rejection tends to lose its sting, and the dismissing editor/agent diminishes in importance. But most of all, you should never, ever let a rejection sink you so low that you lose faith in your abilities, a point where I’ll admit I have found myself. Instead of wallowing in dejection, ask yourself this: Who are these people who wield such power that I allow their judgment to supercede mine? Confidence in your talent will show through in your work, and you should always be exercising your writing muscle. As I tell my students, writers write, and no one was more surprised than me by my reaction to that latest rejection. Sure, it rattled me, but all I could think about was finishing the chapter I had been working on, which I did before I went to bed that night. 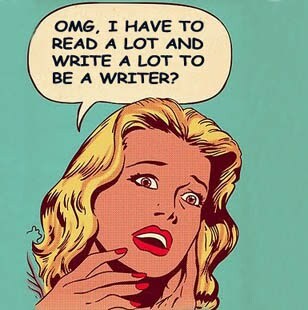 To me, that meant I had lived through one more rejection, and had come out the other end, still a writer. A while ago, when I was less confident, I had poured my heart out to my sister over one particularly brutal rejection. She told me of an article she had read in the New York Times about author James Lee Burke, and his fourth novel, The Lost Get-Back Boogie. By his own accounting, the manuscript was rejected by 111 editors over a nine-year period. When it was finally accepted and published, it went on to be nominated for the Pulitzer Prize. It’s now translated all over the world, and has gone into numerous printings. I never forgot that story, and many times it has kept me going. It made me think that one day, if I’m lucky enough, my own tales of desperation and abject failure will rally someone on to success. Only if! I appreciate your outlook! I always think of the notable authors out there that have had famous titles originally rejected. I know Judy Blume was one of them as well. Forge on.